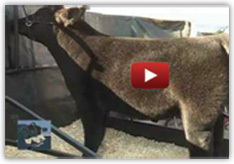 lautner farms will price match anyone else’s prices….call us at 800-515-3284 if you see a better deal out there…. we will match it! That’s what we love to see! Reserve Grand Champion Steer Champion ShorthornPlus Sire: Monopoly Raised by: Mike Treinen Sold by: Richey Show Steers Congratulations to Dallas Richey! From JJ Saenz. San Juan, Texas. Steam Roller bull calf 10 days old. FROM TRAVIS PEMBROOK-PCC Show Heifer and Young Donor Sale- SALE GOING ON NOW AND ENDS TONIGHT! Grand Champion Steer Rings A&B Sire: Dakota Gold Dam: BIM Raised by: Martsching Show Cattle Sold by: Riley Godwin Congratulations to Kaylie Stone! Reserve Supreme Champion Female Sire: Dakota Gold Dam: Money Man Raised by: Healy Show Cattle Congratulations to Chloee Clark! ​ Reserve Champion Crossbred SteerSire: MonopolyDam: WhiskeyBred by: Stoltz ExoticsSold by: Stoltz Exotics, Beau Bremer, Frank WardCongratulations to Colton Kleinschmidt! Champion Maine Anjou Steer Sire: Ready 2 Roll Dam: Maine Congratulations to Ashtyn Danker! Champion Market Heifer Sire: Monopoly Dam: Miley Bred & Sold by: Dunk Cattle Co. Congratulations to Isabelle Schulz!